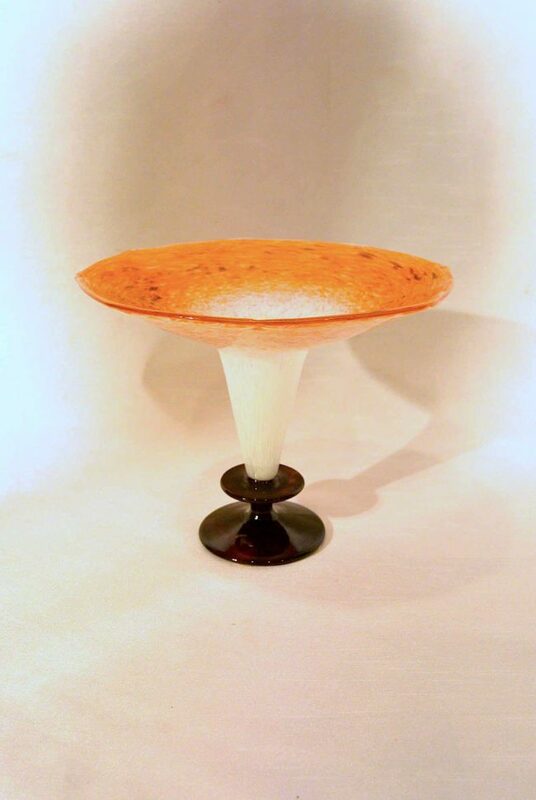 Goblet in orange and white powdered glass. On the stem an extra disc in a black-violet color. Lip drawn out to eight points. Very rare.